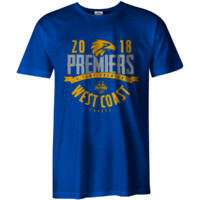 Great team line up shirt for the kids! 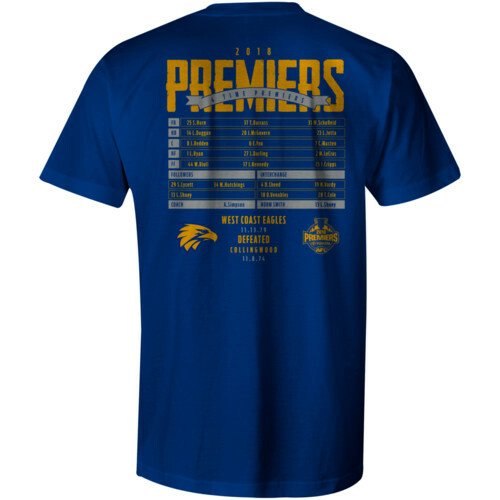 The Eagles took out one of the greatest Grand Finals of all time, and the kids will be able to memorise all the players of that history making team with a 2018 Premiers Line Up T-Shirt. 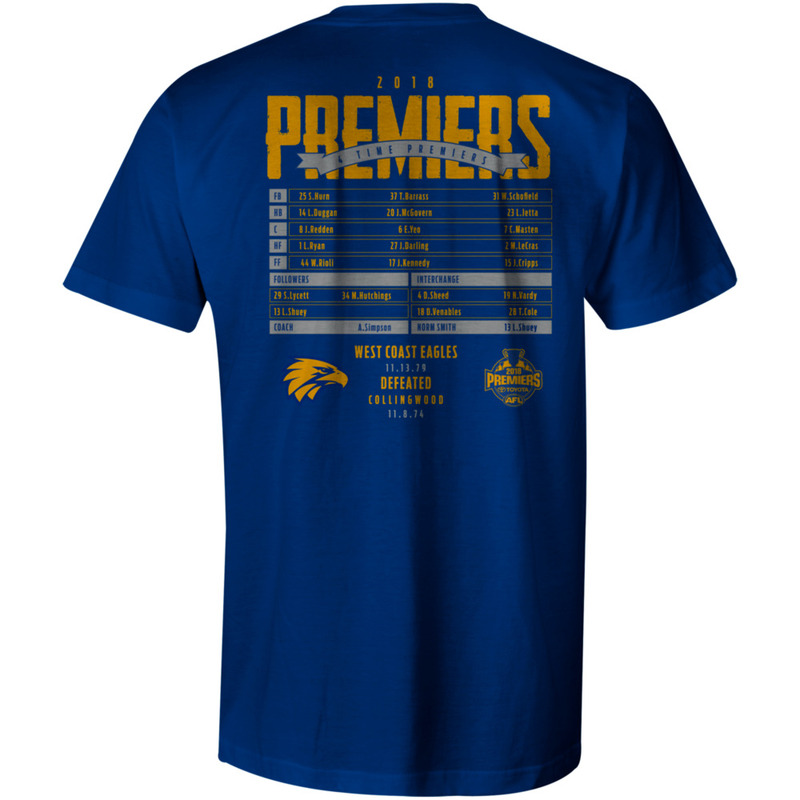 So help the kids relive those great memories and remember those grand final heroes with this great 2018 Premiers T-Shirt! 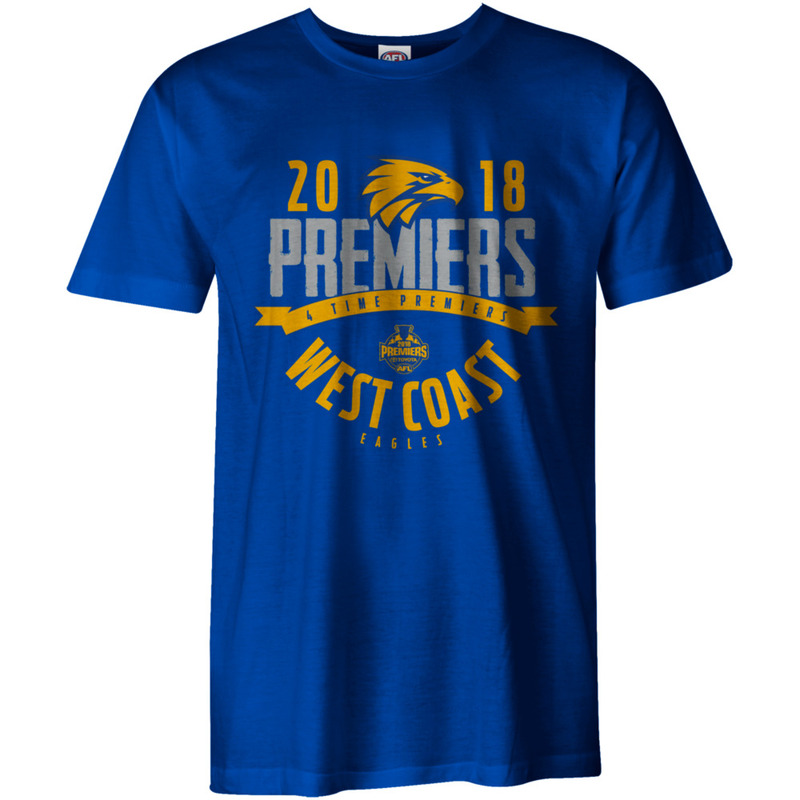 Great quality, perfectly sized. Exactly as described. Another product wasn’t available-had a very apologetic email & a quick refund-can’t fault these guys!